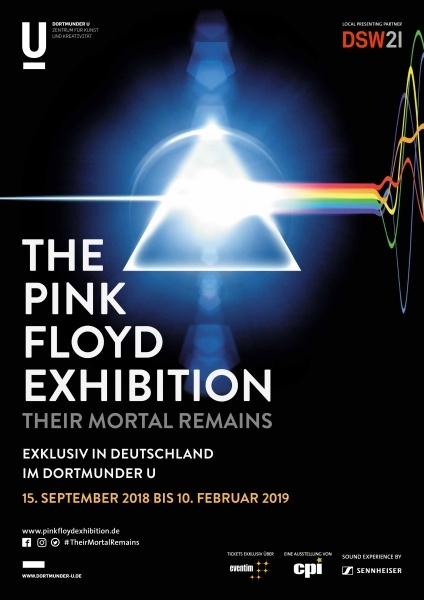 Well, the wait for our friends in Germany is now over - The Pink Floyd Exhibition: Their Mortal Remains opened to the public on Saturday, in a city that the Floyd played in a number of times, from the 1977 In The Flesh tour onwards. Dortmund is the city, and the Dortmunder U is the location. The venue is a former brewery building, which for the last eight years has been a centre for the arts and creativity. Situated close to the city's centrally located railway station, it's in an ideal position. You can find out more about the museum, and the exhibition, via dortmunder-u.de. With the Rome, Italy, staging of the exhibition, there were some adjustments to the items displayed, not least an inclusion of items specific to that country. We suspect the same changes have been made for Dortmund, with materials relating to German shows being included amongst the exhibits. If you are going, or have already visited, please let us know what you thought! There should also be some Dortmund specific merchandise on offer at the Dortmunder U, as well as online via the official Pink Floyd store. This will probably include posters, prints, t-shirts and suchlike.